This weekend I got to enjoy a glorious event that only happens once in a blue moon: my parents drove over to New York to visit me. 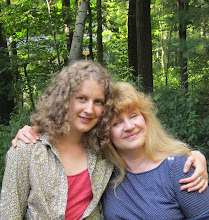 This was a perfect occasion to seek out the imaginary pear tart that has been haunting me. I exploited my imagination and several cook books at once, and lo and behold - the tart of dreams rests on my plate. The idea here is a simple one: a pie shell is covered with a custard-like almond topping that prevents the liquid from the fruit from seeping into the dough. The pears themselves are fried with sugar and rum to create a lovely burnt sugar taste. Complemented with crème fraiche, this is as close to a perfect dessert as I can imagine. 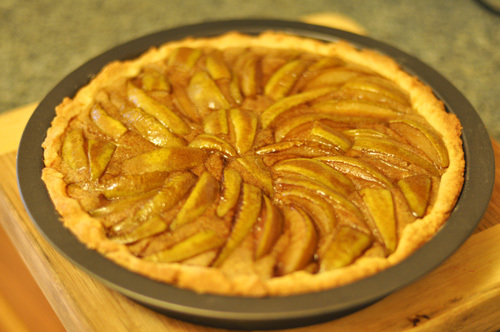 I named this tart "Cinderella" precisely because it locks you up in the kitchen for a while. So I must warn you: if you are out for an easy victory, this tart is not for you. It is time-consuming (takes about 4 hours), and will satisfy only those cooks craving cooking itself in addition to something sweet. If you want to accomplish this tart in one go, it's best to follow these steps in order. 0. Cut the butter for the dough into chunks, place into a large mixing bowl and set aside at room temperature. 1. 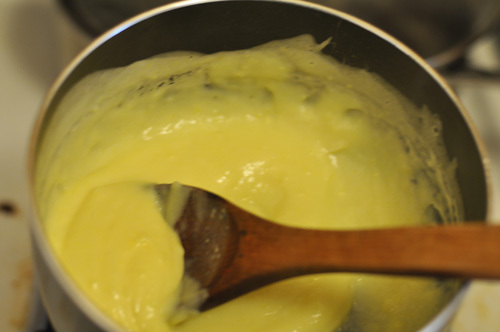 Pastry cream: This is a custardy filling often used in fresh berry tarts. Heat the milk in a sauce pan. 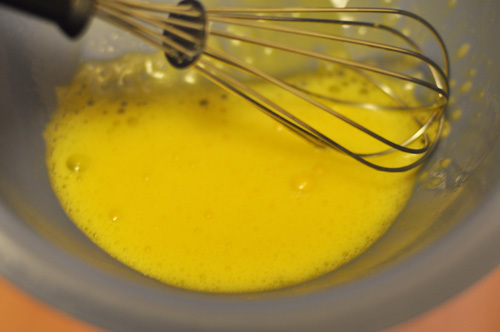 In the mean time, whisk egg white, egg yolks, sugar, vanilla and starch in a bowl until homogeneous. When the milk begins to steam, remove it from heat and pour one half of the hot milk into the egg mixture, stirring vigorously. Return the sauce pan with the rest of the milk to low heat. Then, while stirring the milk in the sauce pan, pour in the egg mixture. Stir continuously with a whisk or a wooden spoon, ensuring that you reach all corners of the pan. If the cream begins to thicken too quickly and forms lumps, lift the sauce pan a few inches off the stove and continue stirring until it has thickened to the consistency of greek yoghurt. When done, transfer to a bowl. When the surface of the cream is no longer very hot, cover it with a plastic wrap making sure that the plastic wrap touches the surface of the cream. This prevents a crust from forming. 2. Almond Cream*: Mix almond butter with sugar thoroughly, then incorporate the egg, the egg yolk and rum, mixing thoroughly until homogeneous. 3. Dough**: The butter should be warm by now. Cream it with a wooden spoon until fluffy. Then, add powdered sugar and mix thoroughly. In a separate bowl, beat the eggs with vanilla until a thin foam forms. 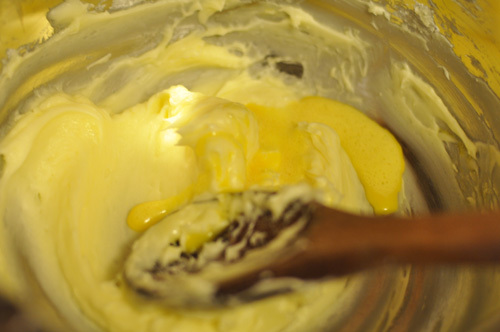 Pour the egg mixture into the butter mixture 1 Tbsp at a time. Mix thoroughly every time. 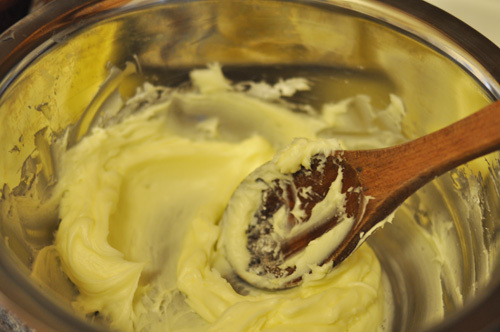 Adding so little at a time will actually save you time: it is hard to mix liquid into the butter. Sift flour, salt and baking soda over the butter and egg mixture all at once. 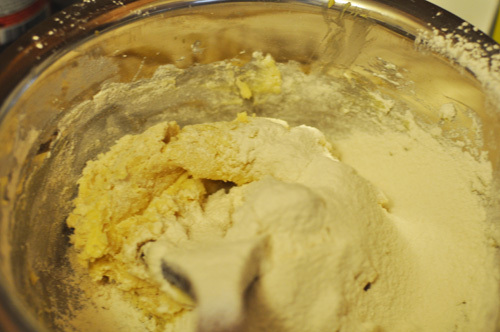 Mix with a spoon just until all of the flour is incorporated. 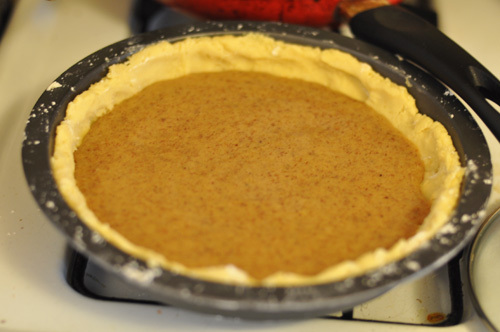 Scoop the dough onto a baking pan and spread it into the shape of a pie crust with well-floured fingers (to avoid stickiness). Place the pan into the fridge for about 30 minutes. 3.a. Preheat the oven to 300 degrees F.
4. Pears***: Place the butter for the topping into a large pan, sprinkle it with brown sugar and turn the heat on high. Cut pears into wedges, place wedges into hot butter and sprinkle with brown sugar. When one side of the wedges has browned, turn them over. You will likely need to fry pears in several batches, adding sugar to each. 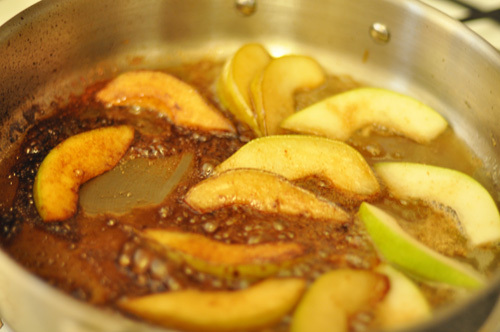 When the pan gets so hot that it is hard to keep pears from burning, pour in a little rum. The alcohol will quickly evaporate, leaving in the spiced flavor. Set the pears aside. 5. Frangipane: Mix almond cream with the cooled pastry cream to obtain the final filling for the tart. 6. Baking: Take the dough out of the fridge. Spread frangipane liberally over the bottom of the crust (you will likely have about 1/2 of frangipane left over). Arrange pears over the filling, sprinkle with brown sugar, place in the oven and bake for about 45 minutes. If the crust begins to burn before the time is over, place a sheet or two of tin foil over the pan (do not tuck in). This will absorb some of the heat. Voila! 7. Consuming: Use whipped cream or creme fraiche and powdered sugar when serving. And enjoy it! With all its butter, this dessert is a bit criminal, but after all this work - you sure do deserve it. 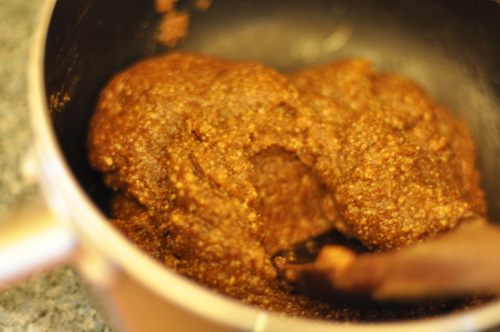 * Almond butter is simply almond flour that has been pressed to extract the oils. Almond cream is more commonly made from almond flour with the addition of regular butter. However, I found almond butter to work just as well and without requiring the sat fats from regular butter. ** This pastry dough is based on one traditional French pastry dough that, unlike most other pastry doughs where the butter is cut together with flour, calls for creaming the butter. For some additional fluffiness, I added a little baking soda. *** It is probably ok to skip frying the pears and use ripe raw pears instead. 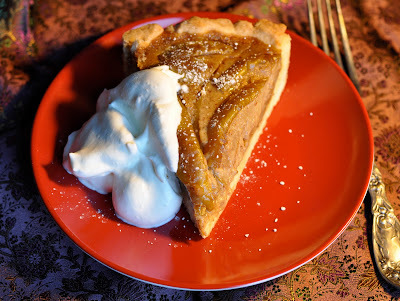 But, the taste of caramelized sugar adds much flavor to the tart.